I’d had it! I’d just celebrated yet another wedding without the smallest little envelope, one thanking me in the nicest possible way, with a little cash or check. What was it with this town? Weddings, funerals, baptisms! Nothing. Or Nada, as many of our folk would say. When Elijah was treated this way by the Israelites, he called down drought upon the land. I’m not positive clerical stipends were his cause célèbre, but it was something like that. So I did like prophets of old. I got on the line and called God. The number, in case you need it, is 1-800-225-5463 or 1-800-CAL-LGOD. What was this? Even God insists upon answering in Spanish? And why was Español the default tongue? Why did I have to push numero dos to hablar in Ingles? When someone finally came on the line, that was my first question. On and on they went. I just kept punching zero. I would demand to speak directly with God. It worked. A real voice came on the line. “Well, yeah, that makes sense. 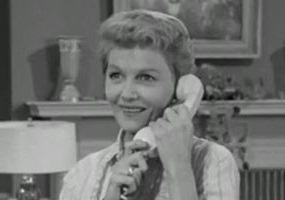 Well, Mrs. Billingsley, I’m calling….